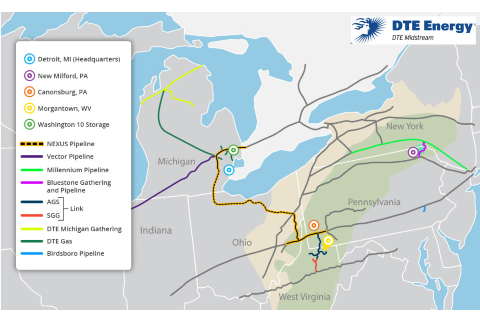 Is the energy industry's trusted natural gas gathering, transportation, and storage provider across the Midwest, Appalachia, Northeast, and Ontario. We develop and construct tailored infrastructure solutions for our customers in order to achieve reliable, safe and cost-effective transport and storage of natural gas. Our experienced leadership team combined with DTE Energy's financial strength and stability allows us to deliver what we promise and when we promise. We are long-term owners of assets and view our customers as our most important assets. Marketing and price hedging services through our sister company DTE Energy Trading.